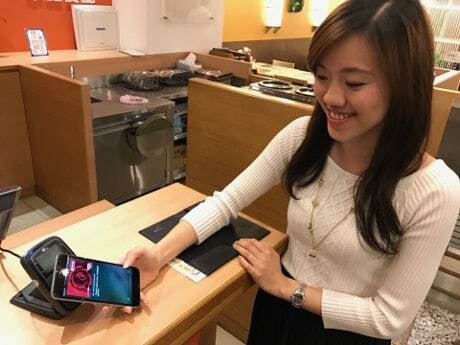 Apple Pay has launched in Taiwan with support from Mastercard, Visa and seven banks including Taipei Fubon Commercial Bank, Cathay United Bank, E Sun Commercial Bank, Taishin International Bank, CTBC Bank, Standard Chartered Bank and Union Bank of Taiwan. The launch in Taiwan means that Apple Pay is now available in a total of 15 global markets — the US, UK, Canada, Australia, China, Singapore, Switzerland, France, Hong Kong, Russia, New Zealand, Japan, Spain and Ireland, with a planned launch in Italy expected “soon”. Both Samsung Pay and Android Pay are also gearing up to launch in Taiwan. A total of 46 retailers are listed as supporting Apple Pay for in-store payments on Apple’s Taiwan website, including Carrefour, Big City, Breeze, City Super, FamilyMart, Starbucks, Watsons and Far Eastern Department Stores. Only those with Taishin International Bank cards will be able to make payments using Apple Pay in FamilyMart locations however, according to The China Post, with the retailer opening up the service to CTBC Bank, Cathay United Bank and E Sun Bank customers in July. The service is available on iPhone 6 handsets and above, iPhone SE, iPad Pro, iPad (5th generation), iPad Air 2 and iPad Mini 3 and above, along with the Apple Watch. Apple revealed in February 2016 that it would be launching Apple Pay in Taiwan, when CEO Tim Cook announced that the mobile payment service tripled its user base in 2016, with transaction volume up 500% year-over-year. Seven banks in Taiwan were granted permission by the Financial Supervisory Commission (FSC) to support Apple Pay earlier this month. Standard Chartered Bank was not on the list of approved banks at the time, while First Commercial Bank — which does not appear on the list of announced supporting banks — did receive approval.